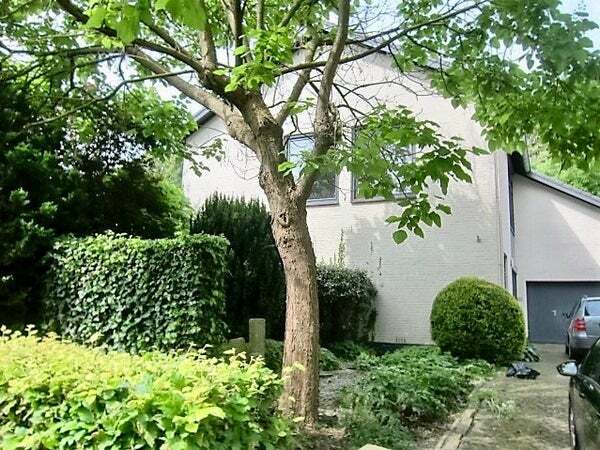 Beautiful villa with garage in a top location (Sint Pieter). This property is characterized by a number of beautiful, integrated designer furniture in the hall and living room. Nice green garden (maintenance required) laid out under architecture and has large plants / trees and a pond. Spacious living room on the first floor: 10.42mx4.44m with lots of light. Kitchen: 4mx3.85m with all modern appliances. Bathroom I: 2.41mx3m with designer shower, bathtub and double sink. Bathroom II: 2.22mx1.50m with toilet, shower and sink. Not suitable for students.